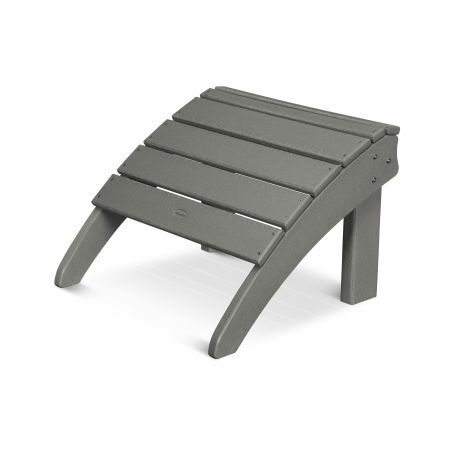 Prop up your feet and fully sink into your comfortable POLYWOOD® Adirondack chair with a footstool or ottoman designed to be a natural extension of our most popular Adirondack sets and individual chairs. Go from comfortable to completely relaxed by outfitting your Adirondack chairs with ottomans or footstools engineered for support and durability. Put your feet up and settle into the casual yet stylistic design of an Adirondack chair and ottoman combo. Ottomans and footstools are the go-to complement for an existing Adirondack chair or Adirondack set, providing the opportunity to fully recline and relax without a care. The ottomans and footstools from POLYWOOD® are specifically designed to match each of our signature Adirondack pieces for seamless construction that extends the aesthetic you’ve created on your porch, deck, or patio. Ottomans and footstools are a practical addition to any seating or lounging area where comfort and hospitality is the priority. Add a gliding ottoman for a gentle back-and-forth motion, or go with traditional footstools that support your feet with an elegant curved design. 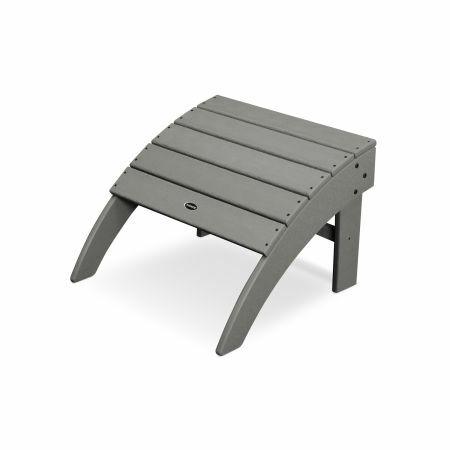 POLYWOOD footstools and ottomans are available in a variety of design styles and lumber colors in order to match your outdoor Adirondack furniture. 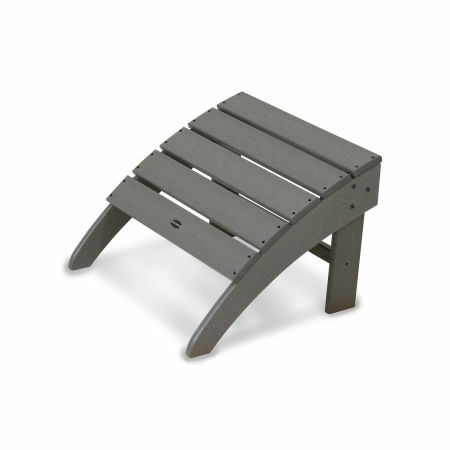 POLYWOOD® Adirondack ottomans and footstools are available in every major collection that features an Adirondack chair. Choose between footstools and ottomans in our popular Seashell, South Beach, Palm Coast, and Classic Adirondack collections. Folding ottomans pair with the Classic Folding Adirondack Chair for easy transportation and storage. Weatherproof HDPE lumber does not splinter, crack, chip, peel or rot and it is resistant to corrosive substances such as oil, salt spray and other environmental stresses, allowing your ottomans to remain outside year-round. Our hallmark Color-Stay Technology ensures the earth tones or vibrant colors you choose for your ottoman will look great in the sun year after year. Cleaning and maintenance of Adirondack ottomans and footstools is hassle-free. Simply use a damp cloth and a gentle soap solution to occasionally wipe away dust or dirt buildup. You can choose to do a deep cleaning once a year to keep your Adirondack footstools looking flawless. Pick up the latest detective novel and stretch out on your South Beach Adirondack Chair coupled with an ottoman in gentle earth tones that blend into the colorful array of blooms and vegetation around you. The hours fly by as you become engrossed in the story, remaining comfortable in the roomy seat and curved back of your favorite chair. Make the most of the summer sun and stretch your legs out to work on that tan. Ottomans and footstools create the ultimate relaxation haven so you can doze off in the morning breeze, a glass of lemonade by your side. Just don’t forget the sunscreen! Take a break from the hustle and bustle of the city with a few moments of serene reflection on your loft balcony. Your jet-black folding Adirondack chair and matching folding ottoman take just a moment to set up when you need a solitary escape. 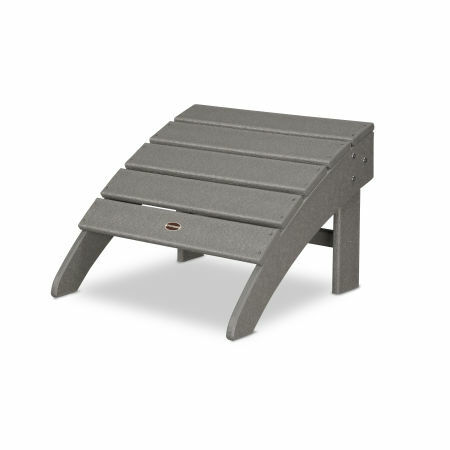 Choosing the right Adirondack ottoman or footstool is straightforward when you have the perfect Adirondack chair in your outdoor space. Take a look through our Adirondack Chair Buying Guide over on the blog to find the perfect Adirondack set, featuring a chair, side table, cushion and ottoman, for your space.